The history of aromatherapy, and Aromatherapy 101 to start, then some more advanced techniques. Recipes for you to make your own products will be given. Summer is officially gone and you're moving into Fall season. With all the hustle and bustle of school starting, new positions and new locations, your new season could become quite stressful. Here are a few tips to help you transition with ease. It’s a new year and a new you! You'll exercise and go on diets, but how will you take care of the skin you're in as you loose the weight? How about a spa oasis with scented body scrubs? Everyday your world is full of aromatic blends but are they natural? Learn how essential oils are incorporated into your life on a daily basis. Not only are essential oils the building blocks of aromatherapy, they are also the building blocks of a truly natural perfume. How would you begin your aromatic journey? While it might just be the right note for a masculine blend, tobacco absolute will add depth and exotic intrigue to floral essential oils like Jasmine, Tuberose and Ylang Ylang. Have you ever tried it in your blends or perfumes? 3 easy tips that show you how aromatherapy, breathing exercises, and yoga can give you a refreshing boost of energy! What makes you choose one essential oil over another when beginning your collection? If you're anything like me you follow your nose. Here's how I started ... what will you choose? Looking for a natural way to boost your energy level? Essential oils can be blended in a variety of ways to give your energy a kick. Floral waters/hydrosols, not just your supercharged all natural toners. Take a look at how they're used in everyday life. Uses of essential oils run the gamut from body care products to aromatherapy. These wondrous plant extracts have plenty of uses and benefits known to many. Read more and discover the many uses of essential oils. We subject our bodies to various kinds of toxins each day. Check out this spa-like indulgence to cleanse, refresh and detoxify...in your own home! We’ve all heard of psychotherapy, oxygen therapy and now we have scent therapy. You may know it as aromatherapy. However it’s known to you, scents are used to balance your mood and your mind, nourish your body and revive your spirit as an overall appreciation of its beauty. Enjoy deliciously fresh skin all year long with mask that will help you have smooth,radiant, glowing skin. Release facial tension, increase radiance and purify your skin with this refreshing step-by-step guide to the ultimate facial massage. We hear about them, like to talk about them, love to smell them but what are essential oils? Have you ever wanted to spend some quiet time with the one you love? A tub for two is a great place to start. Great ideas for you in the article this week. While exercise, nutrition and a lifestyle change are extremely important to your health and well-being, massage can have a profound effect on you as well. Get recipe ideas for making your own massage oils. Have you ever thought about all of the different aroma's you encounter on a daily basis? What does the world of scent have in store for you? In a time when health care is either too expensive or you don’t qualify for it because of known illnesses, essential oils are making their way into the health care arena as alternatives to the world of medicine. Immerse yourself into blissful aromas with this exotic all-over body mask that's designed to smooth, revive and tone your skin. Have you ever thought about growing herbs? Did you know that you can do this in pot gardens? And … some of the herbs you grow can be used for more than just cooking. Revitalize your senses with the healing properties of herbs in your spa garden. Looking for a way to add fragrance to your most personal possesion? Learn how to scent your lingerie in minutes. We've learned over time that aroma and the beauty of fragrance doesn't always come in a perfumed shaped bottle. Have you ever considered planting your own tea garden? Try these recipes of freshly grown herbs and flowers. This article is about a discussion that I had with professional friends this week about aromatherapy, essential oils and the roll each plays in our choice of fragrance. Do you know how aromatherapy works? In a world of chaos and stress, the beauty of essential oils are being used in every aspect of natural living from altering our moods to scenting our bodies. Take a closer look at the bond between aromatherapy and essential oils. Just by its name you know that the word Aromatherapy has something to do with scent. Often defined as aroma by scenting it literally means Fragrance Therapy. This article discusses the use of aromatherapy when used in skin care. Aromatherapy and Its Use for Stress Relief - Stress alters the way you think and takes hold of your mental and physical state. Learn how to change that using essential oils. Aromatherapy is a wonderful way to bring scented pleasures into your work space. Read about some of the essential oils that make great blends for work environments. Your work environment is just as important as your home environment. So it makes sense that you can also apply the principles of aromatherapy into your office setting to improve your work life. Holiday stress got you going in circles? Have no fear, your essential oils are here! In a world where fragrance and aromas rule our space, most of us don’t even acknowledge their presence. Does Aromatherapy bring balance to your mind, uplift your spirit and personal space? Have you ever experienced the power and pleasure of essential oils? In this article we'll share information on how to use them. As a rule of thumb, essential oils must always be diluted in a carrier or base oil. Find out which one works best for you! It's time to get your body beach ready by scrubbing away all the dead skin cell buildup from the winter season. What better way to do this than with a body scrub. Learn the benefits and make it happen. You can always find beauty in your bathtub. Turn your bathtub into an oasis for releaving tired muscles and sore back pain. There's nothing like looking into the mirror and seeing how wonderful you skin looks. Essential oils play a very important role in the holistic approach you take to beautifying your skin. Here are a few tips to help you keep it that way. Bergamot, the citrus oil that's great for skin! Although it's not talked about a lot, it's used in both beauty and wellness industries. Body Scrubs can help you transition your skin from Summer to Fall. Body scrubs can also give your skin that soft as a baby's bottom feeling. Try the recipe and tell us what you think. Bust Stress Wide Open with Essential Oils! Did you know you can use essential oils to help you create the mood you desire and release stress? Learn which oils can give your soul an empowering boost! Can Aromatherapy Help With Stress? We all get stressed. and in today’s society, women seem to have been given a triple dose and then some. Enter aromatherapy. Don't believe me? Try it! Can Scents Enhance Your Body Butters? When you hear the term "body butter" what do you think of? For me it's a luxurious whipped cream, thick in consistency, that when scented, it will have you immediately searching for more. Learn more about scenting body butters with essential oils for your skin type. Can You Relieve Holiday Stress with Scented Baths? There's nothing more pleasurable than stepping into a warm bath filled with your favorite scents. So if holiday shopping's got you all worn out, step into the world of a long relaxing bath. At some point and time in your life, you've been mesmerized by an aroma that whiffed past your nose. What if the smallest measure of a scent could help with changing the way you feel? Have you prepared your skin to show off its best Glow? Time to allow your creative side to meet the fruits of summer. A natural way to remove dead skin cells from your body. Here's a recipe for you. Negative energy/bad vibes are bound to hit all of us at one point or another. There are many ways to get rid of negative energy using aromatherapy. Learn more about it here. Whether we're smudging ourselves or the rooms in our most frequented space, it's a good idea to clear the energy. Get more details. There’s nothing like the smell of Frankincense and Myrrh. They are two of the gifts from the Three Wise Men at the birth of Christ but see what else Frankincense and Myrrh are used for. Whether it’s from running a marathon or shopping the mall at Holiday time, your feet will welcome the comforting care of a hot foot bath. Read on and find out how to create a great foot bath for your feet. Essential oils have become a vital part of our grooming process because of the wide range of therapeutic benefits they offer. Discover some of their uses as you read this article. Is it possible to cure yourself with essential oil products that you can actually make yourself? If you take a look at how the ancestors dealt with discomforts in the body, a lot of what they used were remedies they made themselves. Learn more ..
Scented candles are great but if you haven’t tried diffusing essential oils, you are really missing out on a lot. I've shared some great recipes, give them a try and tell us what you think in our fragrance forum. Essential oils have gained respect in industry’s across the spectrum from beauty to home decor. But how exactly are they being used? Nurture and nourish your skin with this easy and indulgent banana facial! Did you know that essential oils give and receive energy and that professional workers use them in different ways? Take a look at how natural healers use essential oils. When you think of essential oils, typically, it’s more about aromatherapy or perfume than kitchen cleansers or food additives. They cross all sorts of boundaries and today we’ll see some of their many uses. Looking for an alternative method of relief for sore muscles, aches and pain? Essential oils could possibly be the answer. There’s more to essential oils than keeping you calm or giving you a good night’s sleep, they can also provide relief to common illnesses.Before stocking up on essential oils, know which ones are appropriate for you to consider. Read on to learn more. Essential oils have amazing benefits. It seems there’s nothing a little tinted bottle of essential oil can’t do, including what many of us dream of – help in having great skin. Read on to learn more. Working through a somewhat stressful time in your life? Here are some solutions made with essential oils to help you relax . The use of essential oils is not new in the area of well-being,they're just being treated as if they've recently been discovered. Here are four basics that you can have in your essential oil first aid kit. Ok, so you can't work a trade show, in comfort, with your fingers burning. American Express reminds you to never leave home without it, the card that is. While it's a great idea, I also suggest you never leave home without your essential oils. In the world of aromatherapy, it always comes back to the essential oils. They are what true practitioner's use. What essential oils would you choose to have in your home? Your skin is very much alive and is as vital as your heart and lungs. So, the question now becomes how do you take care of your skin without the toxins? Natural essential oils are your answer. Essential oils have powerful multidimensional properties that can provide a valuable alternative to conventional drugs. It is said that they can help in relieving buildup of stress, tension, anxiety and depression. Is it possible that you might be able to benefit from their use? Chatting with a friend can enable you to get re-acquainted with your essential oils. When's the last time you sat with a fried and had an aromatic experience? Simple and elegant in their aromas, Essential oils have been used in so many areas of our lives. Explore the many uses as I highlight how essential oils are being used in our lives today. Essential Oils, Take Me Away! Want to be taken away by the beauty of essential oils? Adding essential oils into the bath allows you to absorb them into your skin. You can also benefit from their soothing, calming and rejuvenating properties. As a skilled aromatherapist and perfumer, do you share a love of essential oils and have an adventure to immerse yourself in a quality blend? Some of us have a tendency to work with the familiar, which means we don’t try new things and in this case new oils. Here are the unusual suspects! Essential Oils, Why Do We Use Them? Why do we use essential oils? Is it for spiritual, scenting or therapeutic reasons? Whatever the reason, they make a great addition to your pantry when it come to creating beautiful scent blends. Read on to learn more about why we use essential oils in our lives on a daily basis. We all like a product that smells good and helps in relaxing our minds. Using essential oils, helps in achieving these results. Learn the benefits of using essential oils in your personal and work space. Eucalyptus is the go to oil for decongesting your chest and nasal passage during cold and flu season. But did you know that it has so many other great things that it does? 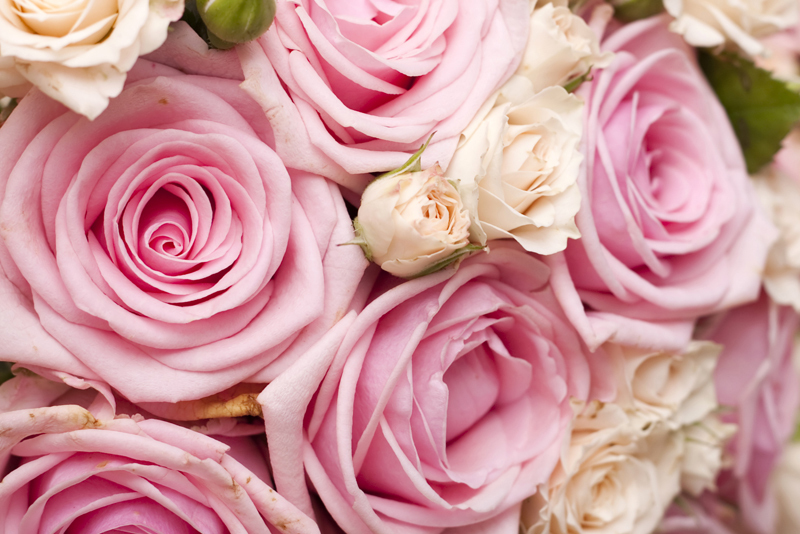 Did you know that the Rose is associated with the Heart Chakra? Rose essential oil has a balancing effect on your entire body and a reputation for relieving mood swings and depression. Learn more as I talk about Rose Essential Oil and its use. Not everyone can wear perfumes. Floral waters also known as hydrosols can offer great alternatives. See what other uses they offer. Have you limited your fragrance experience to perfumes and foods? Has your encounter with essential oils given you a 'spiritual' experience? The summer sun can give your skin a beautiful bronze glow. You also know that the harsh ultra-violet rays can wreak havoc on our skin. Dry and sun-burned skin will benefit from this nourishing and aromatic blend. Tell us what you think! What does the Solar Eclipse of 2017 have to do with frankincense essential oil? Could it be it's calming and tranquil feeling experienced by viewers? Want to know the answer? Frankincense and myrrh are known for being gifts of the Magi to the New Born King.Yet their usage goes back to first century Rome when solders were said to have consumed 2800 tones of frankincense and 550 tons of myrrh yearly. How can you used them today? Want healthy and radiant skin and hair? Keep your skin and hair looking healthy with this simple guide to essential oils. Experience the pure essence in your beauty products. Is your skin ready for its Sprint Debut? Not to worry! Here are two recipes to help you transition from winter to springtime skin. Ginger is often referred to as the "universal medicine". I touch on a personal encounter with ginger and how it's often used in our lives on a daily basis. There’s nothing like a body scrub to remove dead skin cell build up after the winter months. Why wait until after winter. Here are a few ideas for you to consider. Have you ever thought of making a hand sanitizer that’s a little more skin friendly than the sheets or bottles we buy at the store? Here's a recipe to help you accomplish that. Looking for a sleeping giant in the world of essential oils? Meet Helichrysum! You might know it as Immortelle or Everlasting, here are a few tidbits to introduce you to how it can serve you. We make it a habit of taking care of our face and hair but somehow the skin from the neck down, is often neglected. Here's a great recipe for you to try. There's nothing like holiday cheer and the beauty of fresh pine, cinnamon, vanilla and peppermint. One way to hold on to the beauty of these aromas is to create room sprays and diffusion's. Here are a few tips. Ooooo, ahh, any day is a great day at the spa. Can't take the time out of your busy schedule today? No worries, let's keep it in house. You can create your own spa-like environment and at least take a nice long soak in the tub. Looking for ideas, keep reading. There’s nothing like taking a morning walk and having your senses embraced by the beautiful aroma of honeysuckle. It’s breathtaking! Have you ever experienced its beauty in your bath? Do you suffer from insomnia and nightmares? I believe in the power of the bath. Yes a bath has power. There are also sleep pillows, scented candles and essential oils that will help you naturally restore the gentle transition into sleep. When we think pumpkins and cranberries, it certainly brings to mind festive meals with family and friends. But how about creating great scented spa treatments for your face and your body. Looking for a way to extend the shelf life of your essential oils? In this article I discuss the basics of what's needed to protect the shelf life of your essential oils. Aromatherapy is a commonly seen concept in society today. However, just because it's commonplace does not mean that it can be taken for granted. How do you recycle spilled oil blends and still enjoy their beauty? Find out what happened to me when I thought I'd lost a beautiful oil blend. Are you looking for a way to bring calm into your babies life? Have you tried essential oils for babies? One of the benefits of massage is that of getting your skin super moisturized when the masseuse uses natural oil. You can provide this same service to yourself as a self-massage when you use body oils as you step out of the tub or shower. Learn about natural oils that nourish and scent your body. Hydrosols – Are They Really Aromatherapy? Hydrosols, are they as good as what we know to be "real" aromatherapy? Read on and find out what they are and how they are used. I was visiting with a friend yesterday, she’s my friend that shares my world of essential oils. When I walked into her space I thought, my how you’ve grown. We disappeared into a world of pure essential delight. Surrounding your self with scents and aromatic blends, isn't hard to do. If you have a favorite scent or blend that you like, you can fill your environment with it at any time. Has a flower or two called out to you when shopping in the supermarket? Hear their call and listen. Looking for a way to create peace and calm in your world. Give Lavender a try. It's a well known and loved scent that has many uses. Why is lavender used more that other essential oils. It's a powerhouse when it comes to reducing stress, relieving pain, improving circulation, disinfecting wounds and providing relaxation. Learn a bit more about lavender. Is it aromatherapy or the law of attraction at work? Perhaps they go hand in hand. Here is a description of how I used aromatherapy and meditation to start bringing some needed change into my life. I'm sweet and tangy, I have floral undertones and I can soften dry skin? What else can It do? Allow your curiosity to guide you to the answer as you read this article. Massage oils have been used for centuries as remedies for aches and pain. Do you use them? Do scents make sense to men? Men are actually looking for essential oils and botanicals for skin, hair, body care and wellness needs. There’s more to aromatherapy than meets the eye, or nose. In this article we explore the metaphysical aspects of aromatherapy that can be simply applied in our everyday lives. Have you been outside lately? Notice any changes in the aroma in the air? The smell of honeysuckle, lavender or the stench of a skunk? Say hello to Mother Nature, the original aromatherapist. The holiday season is just around the corner, so what better gift to give than the beauty of a gift box set. Filled with essential oil aromas, everything from bath salts, to soaps, to perfumes and room fresheners. Natural scented gift boxes are a great idea, read on and learn more. Learn about the benefits of working with aromatherapy and candles to help you move forward into new beginnings..
Having trouble sleeping? Restlessness at night? Difficulty staying asleep? These could all be signs of insomnia. Here are a few herbs, oils and spices to help you along the way. Orange oil is a great addition to your kitchen and your perfume. How will you add it to your mix? Pamper Yourself with a Soothing Scented Massage or a tub for two. Either way it will be worth the experience. Peppermint essential oil is used in everything from foot soaks to toothpaste. It's a big winner when it comes to personal care products. Use these recipes to whip up a batch of refreshing mist for health and body. Soothe your skin with this refreshing and aromatic pick-me-up! Peppermint Oil ... learn about what it can do to enhance the beauty of your skin and hair. Perfumes have always been used to seek or provide pleasure. They enhance our emotions. Does what your nose tell you make life worth living? Pumpkin seed oil (PSO) is rich in vitamin E, zinc, omega 3- and 6- fatty acids as well as antioxidants, therefore it has tremendous benefits for your skin and hair. Here's a great skin care product for you to make. A bath in and of itself is a great way to relax and help melt away the stress of the day. Enhancing your bath with a little herbal blend is even better. Enter the Bath Tea. Learn a bit more as you continue to read. When coupled with exercise, diet, and other aspects of your health routine, aromatherapy can be a very effective tool in restoring your energy level. There's nothing like an essential oil to lift your mood, revitalize your skin or help you to relax in the mist of chaos. Here are a few ways to restore and revive your skin, your mood and your entire body. There’s nothing like baked chicken or steamed vegetables seasoned with fresh rosemary, and the beauty of its aroma as it glides past your nose. But what about blending it with other essential oils for your hair and skin? I was shopping for paper towel and found fresh Rosemary and Sage plants. What a great surprise! And no it wasn't your typical health food store chain. Is fresh, natural and organic finding its way into your traditional shopping environment? I'll be your Grandmother's have lot of stories about sage. It's a particularly resilient plant and with enough light, preferably sunlight, it can pretty much take care of itself. Using scents as a way to soothe the sometimes savage beast in you is a wonderful thing. These tidbits of how scents can nourish, enhance your environment and provide a tranquil space for you, will hopefully spark the creative side in you. Scents, whether they're from perfumes, room sprays, diffusers or oil blends have a way leaving a scent trail. Have you ever left a pleasant scent trail as you moved through a crowd? This weeks article will focus on scented blends for winter skin. It’s a given that if you live in climates where the wind will slice and dice your face as you turn the corner, your skin is going to need a little TLC. Did you know that your feet are extremely important to the health of your body? Essential oils and some sea salt can be the making of a great relationship with your feet. Explore the recipes for great foot care and share them with friends. If you’re a gardner, during the summer months, your hands help you with everything you do. In this article we’ll take a look at ways to protect your hands and nails with a great smelling hand cream and cuticle oil. What if you could bring the elements of scented spa treatments into your own bathroom, be it large or small? Here are a couple of recipes for you to try. Four to six inch stiletto heels are pretty in photo shoots but not for your feet. Create a foot mask and have an ahhhh moment with your feet. Stimulate your senses, reawaken your body and mind, create a reviving atmosphere that will be both physically and spiritually revitalizing with natural essences. Spring is in the air! That means you're about to experience the beauty of scents in bloom. Here are three popular ones, what's blooming in your area? Learn about Lemon and Spearmint Essential oils and how they can beautify your skin, uplif your spirits or quinch your thirst. Should You Avoid Essential Oils During Pregnancy? Protecting both Mother and child, some essential oils should be avoided during pregnancy. Discover the oils that are on that list. You work hard to keep fit. You eat right. You try to lead a clean lifestyle. Is there something more that you can do to improve your health and looks? Yes, you need to detox as well to get rid of the accumulated wastes in your body. Bathing is and has always been a beautiful moment for engaging with the element of water. Try the different type of baths mentioned and tell us what you think. Spices and beauty, oh my! What if you combined the industries of food and beauty and had a chance to use them as skin care products to enhance your beauty regimen? Here are a few spices to consider. There’s nothing like needing a pick me up that will stimulate and invigorate your mind, body and soul. Sweet Honey and The Lips! This home-made aromatic honey lip balm is just what you need to protect and heal chapped lips. Your face can also benefit from the use of honey, find out how! In the spirit of warm weather and the quest for soft, smooth and radiant skin, what better way to pamper yourself than with an exotic fizzing milk bath that will also soothe away all your stresses and bring delight and serenity. What does an herbalist and aromatherapist have in common? The environment in which they work. Explore the common ingredients found in their apothecary and used by the two of them. Honey kissed lip balms, scented body splashes … these are just two ways to use scented beauty products. Why would you want to scent your beauty products? One reason is that they make you smell so good. There's nothing like a body treatment. So why not treat yourself to a full body mask. They can deep cleanse, soften and smooth your skin all while providing you with a refreshing aromatic treatment. In a world of scents and aroma Geranium Essential Oil, is not to be overlooked or taken lightly. Explore the beauty of Geranium and learn a few tidbits about how it's used in the world of scent. Have you ever used and experienced the beauty of Lemongrass? What do you know about it? Learn about Lemongrass and some of its benefits and uses. Finding beauty in liquid soaps. Soap is an everyday part of our lives. Like deodorant, if we don’t use it, the aromas that exude from us wouldn’t be so pleasant. Liquid soaps can make life simple and are easy to make. I'll bet you didn't think you'd ever see the day that sugar would be considered good for you. I guess that all depends on how its used. Even though your skin is the largest organ of your body and absorbs everything that's put on it, when used in a body scrub, sugar can be quite beneficial. Are you looking for a way to reduce stress or soothe tired muscles? Learn the benefits of working with aromatherapy and essential oils. Have you ever had an aromatic massage? Journey with me as I share my experience and the wonderful choice of oils used by the therapist. Most people don’t realize the many benefits that aromatherapy can bring into your life. Do you? You'll find tips for purchasing as well as oils that are known to reduce stress as you read on. Taking life too seriously, take a whiff of orange essential oil. It's certainly uplifting but it will also help you relax. Enjoy the article as you find other benefits of using Orange essential oil. If you're looking for the "Oil of Love", you've found it. Rose essential oil will bring a man to his knees. Cleopatra showed you how to do it with Mark Anthony. The Holiday Gift of Scent - Always Works! Who doesn't enjoy a beauty scent. If you haven´t already discovered the soothing, healing powers of essential oils and aromatherapy, there´s no time like the present to get started. Long before the Hippie Era, Patchouli was used in Far Eastern countries for medicinal purposes. The 60's 70's gave Patchouli an awakening and revitalized it's use. Learn more about Patchouli and how to use it in today's space. If you haven´t already discovered the soothing, healing powers of essential oils and aromatherapy, there´s no time like the present to get started. Your mind, body -- and nose -- will thank you. Ayurveda has been popping up in my space for some years now. I'd acknowledge its presence and put it off to the side to come back to. Recently a book came into my view, The Magic of Ayurveda Aromatherapy. I could no longer ignore Ayurveda. What’s so special about the Rose? While volumes have been written about this flower and the beautiful oil it produces, here's a brief overview of the two main oils gotten from its flowers. As more and more of you are looking for natural solutions to skin-care woes, essential oils will definitely enter into the equation. Here are four oils being used in the world of skin care. Herbal blends, sea salt and powdered milk. You got it! The perfect beginning for a soothing milk bath. Indulge yourself with recipes in this article. Discover how combining this "magic plant" with the healing properties of select essential oils can add volume and shine to your hair. Discover the top 10 essential oils used in aromatherapy for stress relief, skin care, hair care, to boost energy, confidence and more. What will you do to bring some well-deserved tranquility into your space? You've made it through the stress of the holidays. Got all your shopping done, everyone liked his or her gifts and now it's time for you. Spa Treatments! Provocative potions and sultry scent blends are what discovering the sensuous woman in you are all about. Feeling tired and mentally deflated? Then it’s time for you put some pep back into your step by using scents to uplift your moods. I always reach for my essential oils when I'm stressed. They don't add pounds to your waist like like fatty and sugary foods, nor do they damage your internal organs like cigarettes, alcohol and drugs. Here are a few to consider. Aromatherapy as natural perfume? Why not! Have you ever created a blend to treat an emotional condition using the practice of aromatherapy and Really liked how it smelled? Clays have been used for centuries as a method to help beautify your skin. They can protect your skin and hair from the sun. Read on to learn more about the use of clays when used in beauty regimens. We experience fragrance everyday, for some of us it a pleasure, for others it's a nightmare. What is a fragrance and how can they be used to enhance our lives on a daily basis? Vanilla Essential Oil, Oh So Sweet! Vanilla !!!! When we think of vanilla we typically think of ice cream, chocolate icings, deserts and your grandmother’s pound cake. We love our scents, our fragrances and aroma's. Some of our natural resources that provide essential oils to make them are being threatened with extinction. Take a look a three that top the list and alternatives that can be used instead. What Scents are on Your Spa Menu? What's a Household Without Lavender Oil? No household should be without Lavender essential oil. It's a known fact that Lavender essential oil is the be-all, end-all, go-to oil. Do you have Lavender in you space? We're always slathering some scented oil, butter or lotion onto our body. Essential oils are the base of every scent. Why do we use them? Have you been wanting to get-a-way but just haven't found the time? Break free from routine and nourish your body and soul with an enchanting fragrant bath time ritual. Summer´s in full swing, which means sun exposure is likely taking its toll on your skin and hair. Add these "must haves" to your beauty travel bag to keep yourself looking and feeling great all summer long.